Published on December 20, 2017	in Newsheets. Published on December 15, 2017	in Bullettini. Published on December 14, 2017	in Press Releases. Published on December 11, 2017	in Press Releases. 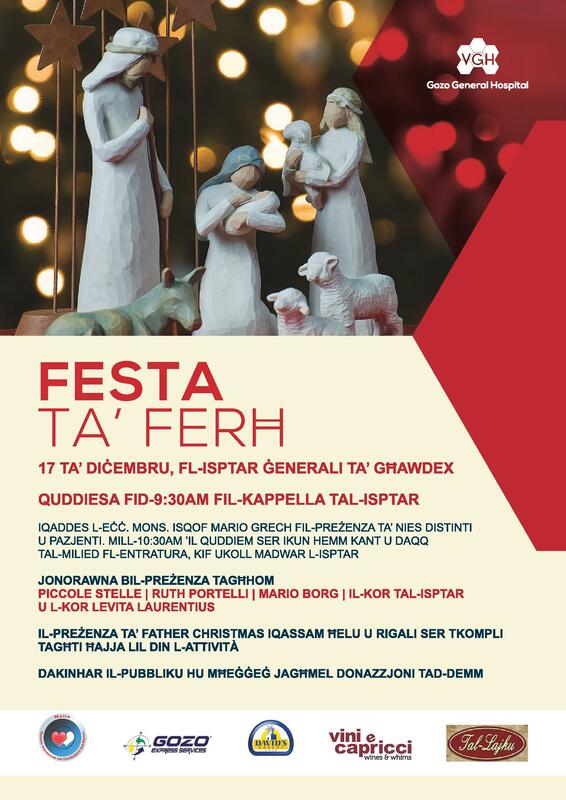 Ftit jiem biss wara l-mewt ta’ saċerdot ieħor, il-Mulej issa sejjaħ għal ħdejh lil Mons. 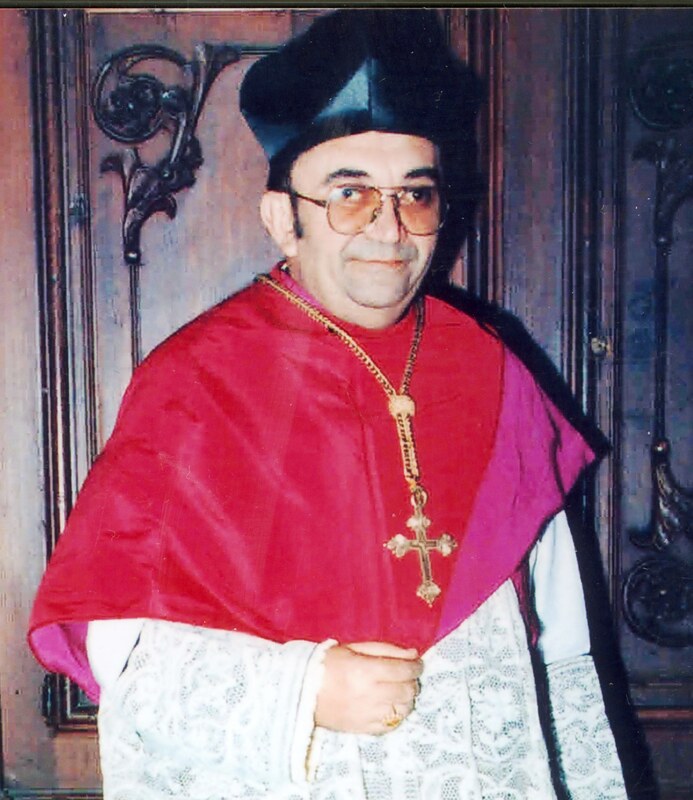 Carmelo Scicluna, STD, JCB, Dip.Arch., Dip.Bibl., Capp.SS. mill-parroċċa ta’ San Ġorġ. 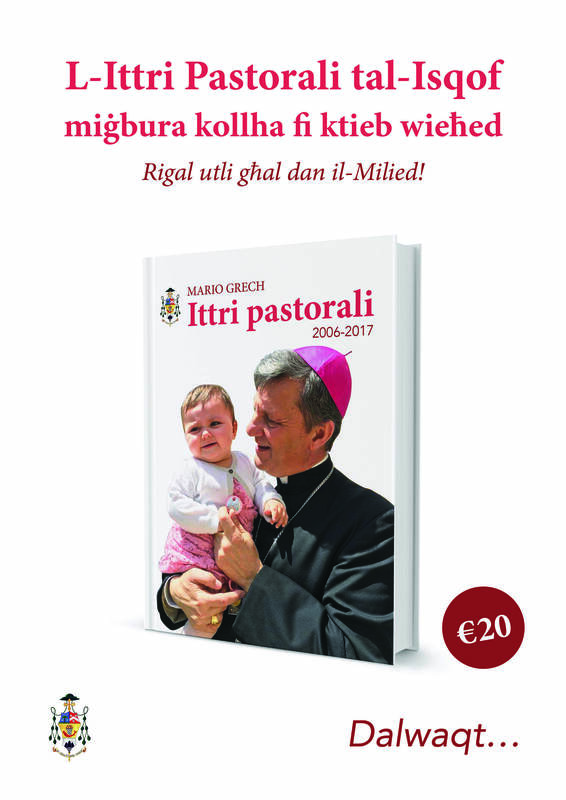 Dun Karm huwa t-tmin presbiteru li miet tul din is-sena. Published on December 8, 2017	in Press Releases. 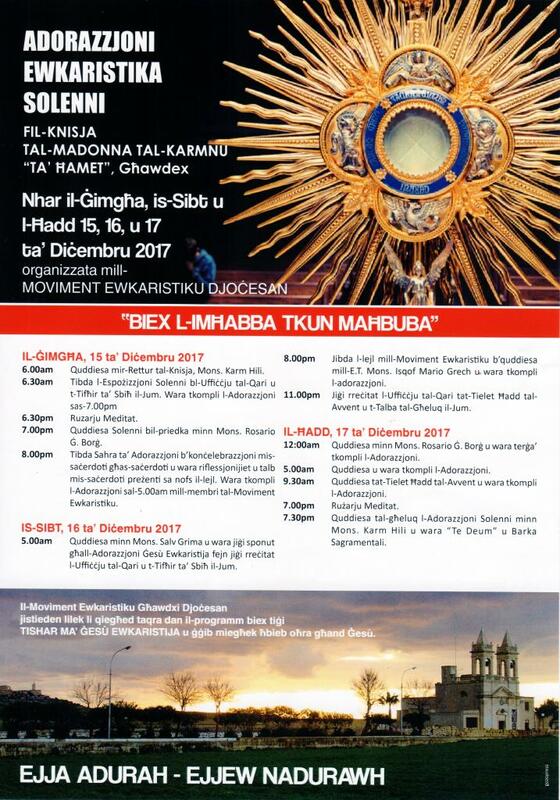 Nhar l-Erbgħa, 6 ta’ Diċembru 2017 tħabbret il-mewt tal-Kan. Dun Ġużepp Said min-Nadur. Dun Ġużepp twieled in-Nadur fl-4 ta’ Ġunju 1943. Hu kien ordnat saċerdot fit-30 ta’ April 1966. 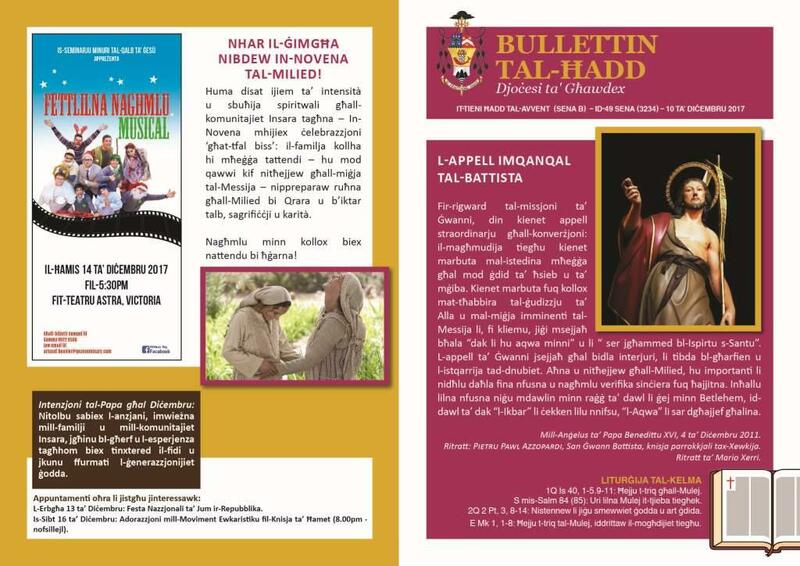 Fost il-ħidma ministerjali tiegħu, Dun Ġużepp għadda ħafna snin bħala Kappillan fl-isptarijiet ta’ gżiritna. 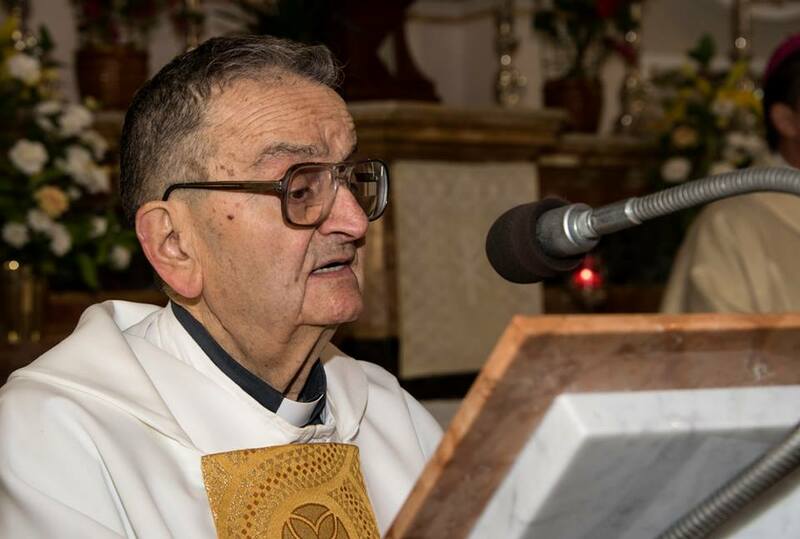 Il-funeral tiegħu se jsir fil-Bażilika ta’ San Pietru u San Pawl, in-Nadur, nhar it-Tnejn, 18 ta’ Diċembru, fit-3.30pm. 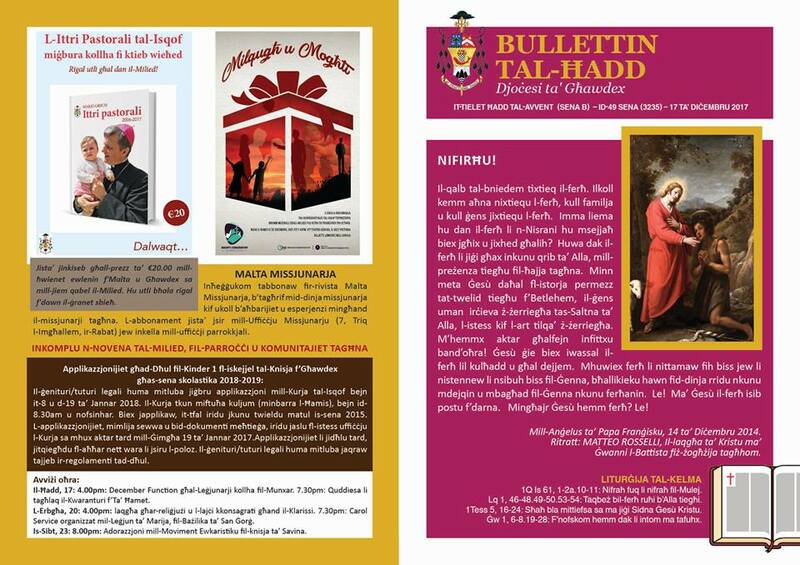 Filwaqt li nagħtu l-għomor lill-familjari tiegħu u lill-Kapitlu tan-Nadur, nitolbu l-interċessjoni tal-Verġni Immakulata, sabiex permezz ta’ Kristu binha, jikseb il-ħelsien sħiħ ta’ wlied Alla u jgawdi l-ferħ dejjiem fis-Sema. Published on December 8, 2017	in Bullettini.